An action platformer MMO isn't something you see very often, but StarBreak hopes to pull it off. It's free to play too, so you have nothing to lose by trying it out. It seems to have microtransactions where you're able to buy in-game "UC" for real money. I imagine that will put people off depending on what you're able to buy with it. If it's only cosmetics, that's fine, but if it allows you to buy weapons it will be ruined by pay to win junk. The game features permadeath too, so even though it's an MMO you will lose your progress when you die. Also, considering it's an MMO the lack of a friend feature makes me dislike it. I play MMO games to hook up with friends a lot of the time and I imagine I am not alone in this. I've tried it out for a little bit and it's actually somewhat promising. It has some interesting creature designs, some nice loot to find, so it has some of the basics I like to see. The combat sadly feels a bit uninspired. It has a retro platformer feel with only limited directions to shoot in, and you can't even move while shooting which annoys me somewhat. It feels like the combat is just too limiting. I do have some other issues with the game as it is right now: First of all, the tutorial is a bit pants. The initial action teaches you the basics of movement and firing and that's literally it. You're then thrust into the main game and you have to figure out everything else for yourself. Second issue: The Steam page is very light on details and doesn't even mention it has microtransactions. 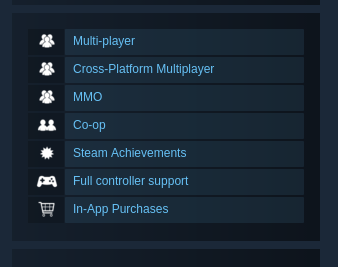 Edit: Seems they did add the in-app purchases category to the Steam page. Third issue: Their FAQ states it will not be pay to win and they haven't decided what you will be able to buy with the "UC" currency you can buy with real money. I think their FAQ is a bit outdated which doesn't fill me with confidence, since I saw things for sale using that currency in the game. Trying to set it fullscreen seems to always revert to my native 4K resolution, which makes the text extremely hard to read. The resolution dropdown seems to do nothing in fullscreen mode. Right now, I wouldn't recommend it. If you want something slightly similar (2D action platforming), but done a lot better check out Terraria or Starbound. I get they aren't exactly the same (I don't know any other 2D MMO platformer on Linux), but you will enjoy them a lot more. Quote Second issue: The Steam page is very light on details and doesn't even mention it has microtransactions. It does say that there are microtransactions though. Apparently, the currency allows you to buy more storage for items and shells at the moment. I stand corrected, they added that a month ago it seems. The page is still very light on details. Those are basically 2D Minecraft-alikes. This is a grindy MMO crossed with some kind of Amiga-era platformer. "They side-scroll and have combat" are the only similarities I can see. Gamepad is not working for me, anyone else? They are 2d sidescrolling action platformers that have exploration and crafting as well as multiplayer. This game has all but the crafting part. It's easy to compare it with. You can use that same logic to compare Elder Scrolls Online and Minecraft. They're both 3D games with leveling, crafting, and combat. "Multiplayer sandbox" and "MMO" are vastly different things, and if you can't dig and build that's like removing leveling from an RPG. That's a _massive_ change. Honstly, it's like someone reviewing Quake and recommending Morrowind instead. Yeah, they're both 3D and have combat and a story, but... Um... No. Also: Exploration? Every level I've tried in StarBreak (like 5 or so, admittedly) has been 100% linear. I really don't know that you've gotten an accurate picture of this game. I wouldn't recommend it either, because it seems to amount to throwing your character at enemies and dying until you can level up and unlock things to do it again. That doesn't describe StarBound or Terraria, though. I stand by what I said, for people who like exploring with friends (which an MMO is supposed to offer, this does not), with action and picking up items (all the stuff an MMO is supposed to do better) and so on they are better off checking the games i suggested. Not exactly the same games, quite obviously, but far better choices. Also, I didn't actually compare them, it was an ending note for people the check them out instead. Quote I really don't know that you've gotten an accurate picture of this game. Looks like I did get an accurate picture of the game (since you agree with my overall thought on it), you just don't think the games I mentioned instead are close enough. I disagree. From the video everything looks messy and cluttered... This is a no-go. liamdawe I stand by what I said, for people who like exploring with friends, with action and picking up items (all the stuff an MMO is supposed to do better) and so on they are better off checking the games i suggested. Again, you bring up 'exploring'. This game doesn't have that. It's has tedious spamming at enemies until you get to the boss. "...with friends..." Well, this is basically 'with randos'. This is comparing apples and oranges. Actually, it's apples and durian. Technically, this is a side-scrolling multiplayer game. It's just not a good one. The things you say Terraria and Starbound offer isn't incorrect. StarBreak doesn't offer them, though. It's just a big mess of an action platformer with randos running around with you. It's also so unbalanced that you start out with 10+ people in a dungeon and by the end there's maybe 3. Seriously, the comparison makes no sense. This game isn't very good, but there's no similarity to Terraria and Starbound aside from "more than one person can play at the same time' and 'side-scrolling'. You've... not played much of this game. I'm being facetious, but really. This game isn't an inferior alternative to Terraria or Starbound. It's just... inferior. Seriously, why is it bothering you so much? 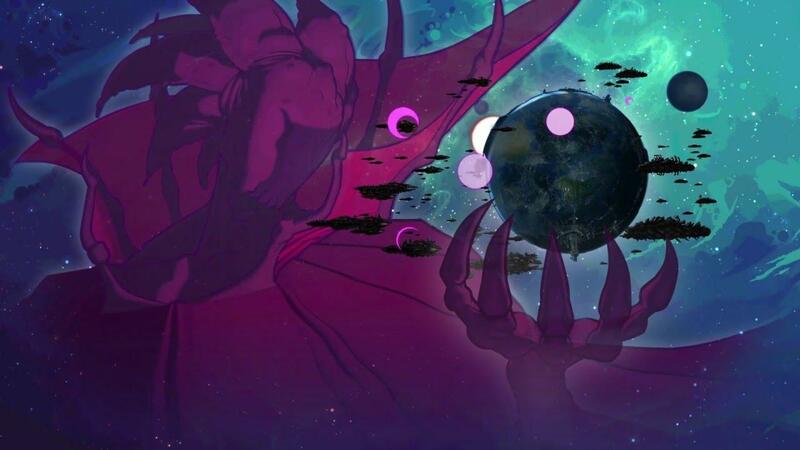 The whole idea of StarBreak is done better (action platformer) by Terraria and Starbound. As someone who has played all three, that is my personal opinion, like everything I write about gameplay.